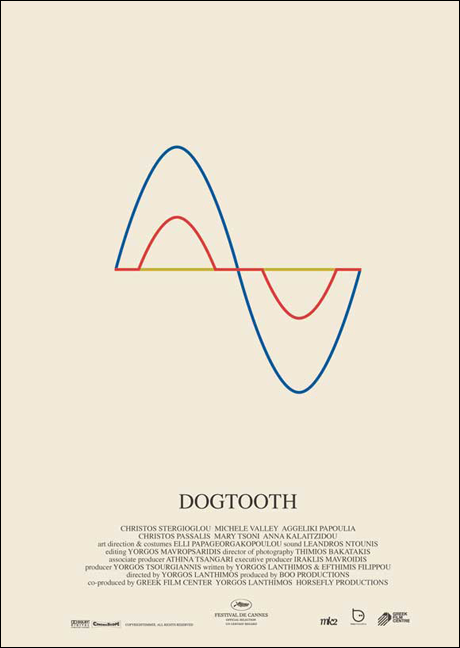 That was the poster for Dogtooth. It’s a treat isn’t it? The film is great too. I’m not going to tell you what happens in Dogtooth because that would ruin it a little bit (hence the genius of the poster) but if you really want to know, just go on IMDb or something. It won the Un Certain Regard prize at Cannes (as opposed to the Uncertain Regard prize) and you are a little bit of a fool if you don’t go and see it at some point.